The International Fact-Finding Mission on Israeli Settlements in the Occupied Palestinian Territory today published its findings on the implications that Israeli settlements have upon the human rights of the Palestinian people. 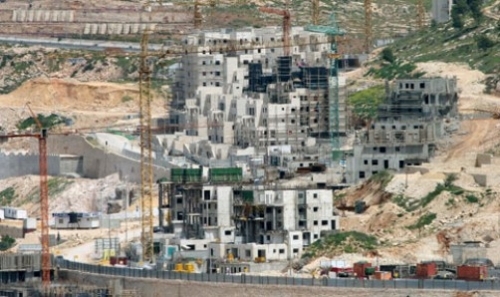 The so-called regional council of Kfar Adumim settlement approved the construction of an educational complex on 218 dunums of the land of Anata town northeast of Jerusalem, Haaretz revealed on Thursday. The Hebrew newspaper stated that the Israeli Civil Administration approved the maps for the establishment of the complex, "about a kilometer outside the settlement’s built-up area," pointing out that a school for Bedouins will be demolished for the implementation of the scheme. The implementation of the scheme came after settlers' pressures on the civil administration, where they presented a petition to the Israeli Supreme Court to demolish the school, buildings, and tents in the area, and to deport the villagers by force, but the court rejected the petition, the newspaper explained. For their part, the lawyers of Anata villagers stated that the establishment of the Educational Complex aims at confiscating Palestinian territories. PLO Executive Committee member, Dr. Hanan Ashrawi, called on the international community to hold Israel accountable for refusing to attend its Universal Periodic Review conducted by the United Nations Human Rights Council (HRC), which was scheduled to take place Tuesday, January 29. "Israel's refusal to attend the HRC review is reprehensible and constitutes an egregious violation of international and humanitarian law, as well as a deliberate insult to this international body," said Ashrawi. She also said, "In postponing the review until October, the HRC is setting a dangerous precedent by allowing Israel to flout the will of the international community and get away with its illegal policies and measures that violate the basic human rights of the Palestinian people." Ashrawi concluded, "We call on the HRC to shoulder its responsibility to promote and protect the 'universal ideals of human dignity' and hold Israel accountable for its blatant disregard for international law. Israel is not above the law and it should not be rewarded for repeatedly slighting members of the international community." 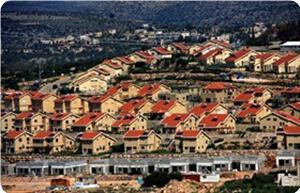 The United Nations has called on the Israeli regime to halt all its illegal settlement activities in the occupied West Bank and withdraw the settlers from the Palestinian land. “Israel must, in compliance with article 49 of the Fourth Geneva Convention, cease all settlement activities without preconditions,” a report by a UN human rights inquiry said on Thursday. “It (Israel) must immediately initiate a process of withdrawal of all settlers from the OPT (Occupied Palestinian Territories),” the report added. It said that the Israeli settlements violate the 1949 Geneva Conventions, forbidding the transfer of people into the occupied territory, which could be equal to war crimes that fall under the jurisdiction of the International Criminal Court. 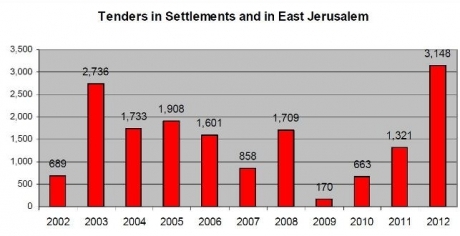 The Israeli regime increased its settlement activities after an upgrade in the Palestinian status at the United Nations General Assembly on November 29, 2012. The 193-member General Assembly voted 138-9 with 41 abstentions to upgrade Palestine’s status to non-member observer state. However, the Israeli ministry for foreign affairs issued a statement and slammed the UN human rights report shortly after it was published. “The Human Rights Council has sadly distinguished itself by its systematically one-sided and biased approach towards Israel. This latest report is yet another unfortunate reminder of that,” the statement said. On January 29, Tel Aviv refused to attend a UN Human Rights Council (UNHRC) review session in Geneva to examine the Israeli regime’s violations of the rights of Palestinians. In December 2012, Palestinians threatened to take Israel to the International Criminal Court over its latest decision to build more settler units in the occupied territories. 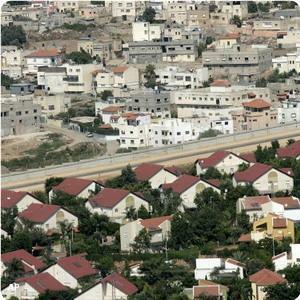 The Israeli settlements are considered illegal by much of the international community. However, Israeli Prime Minister Benjamin Netanyahu says the settlement construction is part of Tel Aviv’s policy and will not stop. Israel boycotted a United Nations human rights forum on Tuesday where it was due to have its record reviewed, setting a precedent feared by many Western and other states. The current president of the Human Rights Council, Poland's ambassador Remigiusz Henczel, noted the absence of the Israeli delegation and ordered the meeting suspended briefly to decide how to proceed. He called it "an important issue and unprecedented situation", inviting comment by the council's 47 members as well as observer states. Israel, which would be expected to face criticism for its practices in the Palestinian territories, suspended relations with the council last May because of what it called an inherent bias against it. Israel's last review was in December 2008, when it attended. Diplomats said last week that they feared an unprecedented boycott would lead other countries to follow suit to avoid scrutiny of their human rights records. "As the only recalcitrant state among 193, Israel's deliberate absence would sabotage the principle of universality," Peter Splinter, Geneva representative of Amnesty International to the UN in Geneva, said in a blog on Tuesday. Meanwhile 15 Israeli and Palestinian human rights organisations warned of the far-reaching consequences of Israel’s refusal to fully cooperate with the United Nations. "This lack of transparency will not only mean that Israel avoids rigorous criticism of its violations of international law, but that the entire UPR system will be undermined by the loss of its two fundamental principles: equality and universality," the groups said in a statement. US human rights ambassador Eileen Chamberlain Donahoe, speaking to reporters last week, said of the US ally: "We have encouraged Israel to come to the UPR, to tell its story, to present its own narrative of its human rights situation. We think it is a good opportunity to do that." A team of UN investigators, set up by the council last year, is due to report soon on whether Jewish settlements in the Palestinian territories violate international human rights law. 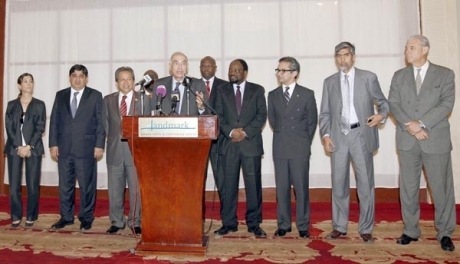 The initiative was brought to the 47-member forum by the Palestinian Authority. Israel's ally the United States was the only member to vote against it. Israeli daily, Haaretz, reported Tuesday that the Civil Israeli Administration, operated by the Israeli Army in the occupied West Bank, said some 166 homes in the Eli settlement in the occupied West bank, were built on private Palestinian land. Haaretz said that the settlement, that was even expanded, was never granted an approved Israeli urban plan due to the fact that it's built on private Palestinian property. The fact that the settlement was never approved means that no legal housing permits have been issued, an issue that led to several petitions filed at the Israeli High Court of Justice. Haaretz said that the settlers started pressuring the government to legalize their constructions, and the government started preparing a “zoning map” in order to clarify the lands that will be part of the illegal settlement. The Israeli paper also obtained a map signed in November of last year by the Central Command of the Israeli army, showing that 166 houses in the settlement are built on Palestinian lands. The map also has aerial photos of the area taken in 1970. The Eli settlement was built in 1984. Two nearby illegal settlements (Palgei Mayim and Givat Haroeh) of 80 houses were not included in the map. According to Haaretz, the land in question was never officially registered, and that its ownership dates back to the Ottoman law in the country; a law that grants ownership to the cultivator of the land after farming it for ten years. 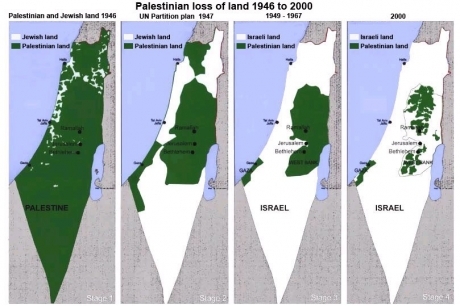 But even if the lands are not private, International Law and the Fourth Geneva Convention regard settlements built on occupied territory to be illegal. Haaretz said that even in cases of undetermined property ownership and the legal status of the outposts, Israel is working on trying to “legalize” the status of the outposts by declaring the lands as state-owned, thus retroactively legalizing them. An example of that it’s the illegal outpost of Hayovel; it was retroactively legalized despite an active appeal against it at the Israeli High Court. Furthermore, Haaretz reported that the Israeli Civil Administration office in the occupied West Bank is currently not interested in taking action against the Eli settlement, but should the High Court demand it to take action, it might be obliged to do so. There are also several petitions against different buildings in the settlement. Meanwhile, Chairman of the Eli Local committee, Kobi Eliraz, claimed that the houses in the settlement “were not built on private Palestinian lands”, and also claimed that some of the houses might have been built on state cultivated land. 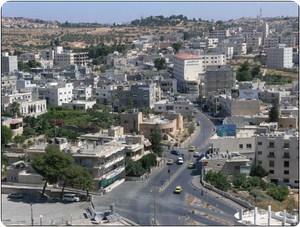 The Eli settlement is located between the central West Bank city of Ramallah, and the northern city of Nablus. 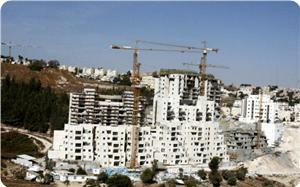 It is built on nine hilltops, imposing control over thousands of Dunams of Palestinian lands in the occupied West Bank. Israeli occupation forces (IOF) were deployed in Anin village to the west of Jenin on Saturday to foil the declared activists’ attempt to build a new protest village. Eyewitnesses said that the soldiers set up roadblocks at the entrance to the villages of Anin and Teyba and harassed passing citizens and threatened inhabitants that they would not allow the building of the protest village. IOF command dispatched patrols to Anin village since Friday afternoon as soon as the first batch of activists arrived to build the village that was planned in solidarity with Palestinian prisoners under the name of “breaking the shackles”. 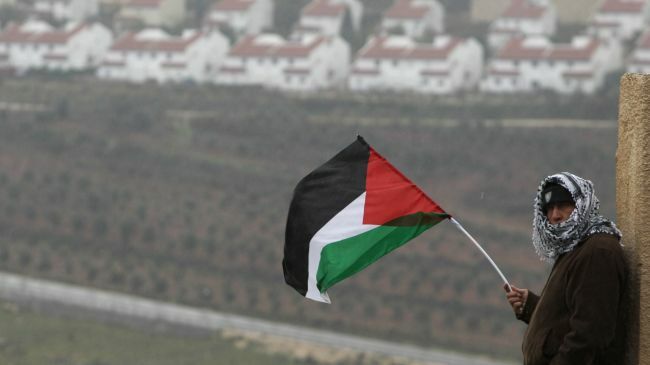 A Palestinian man waves his national flag to protest against the expansion of illegal Israeli settlements. The Palestinian Authority (PA) has threatened to take legal action against Israel at the International Criminal Court (ICC) if the Tel Aviv regime builds new settler units on the occupied Palestinian land. PA Foreign Minister Riyad al-Maliki made the remarks at a press conference after a meeting of the United Nations Security Council in New York on Wednesday. Israel is planning to build new settler units in a Palestinian area called E1 outside the suburbs of East al-Quds (Jerusalem). "If Israel would like to go further by implementing the E1 (settlement) plan and the other related plans around Jerusalem … we will be going to the ICC … We have no other choice. 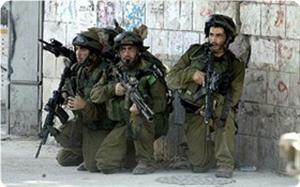 It depends on the Israeli decision," the Palestinian foreign minister stated. The Palestinian Authority foreign minister declared Wednesday that Palestine will have no choice but to complain to the International Criminal Court if Israel proceeds with settlement expansion plans in the occupied West Bank. Speaking to reporters after a meeting of the UN Security Council on the Middle East, Riad al-Malki said his government's decision will largely depend on what the Israelis do with the so-called "E1" area outside the Palestinian suburbs of East Jerusalem. Jerusalem then yes, we will be going to the ICC," he said. "We have no other choice. It depends on the Israeli decision." The Palestinian Authority has previously suggested that bringing its various disputes with Israel to the Hague-based court was an option, but al-Malki's remarks on Wednesday were the most direct threat his government has made against Tel Aviv to date. The International Criminal Court prosecutes charges of genocide, war crimes and other major human rights violations. Palestine must first apply to join the court, and once a member it could refer Israel for investigation. Palestine became eligible to join the ICC after the U.N. General Assembly upgraded its status at the world body in November from "observer entity" to "non-member state." After the Nov. 29 vote -- on the 65th anniversary of the adoption of UN resolution 181 that partitioned Palestine into separate Jewish and Arab states -- Israel announced it would build 3,000 more settler homes in East Jerusalem. E1 covers some 12 square km and is considered particularly important because it not only juts into the narrow "waist" of the West Bank, but also backs onto East Jerusalem, where Palestinians want to establish their capital. Approximately 500,000 Israelis and 2.5 million Palestinians live in the West Bank including East Jerusalem. 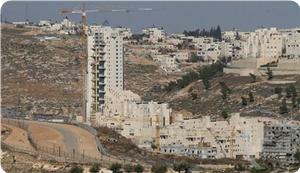 The United Nations deems all Israeli settlements in the West Bank to be illegal. U.N. Special Coordinator of the Middle East Peace Process Robert Serry told the 15-nation Security Council settlements were contrary to international law and "increasingly an obstacle to peace." But he also warned Palestine against pursuing international action. The council meeting on the Middle East represented its first public debate on the Israeli-Palestinian conflict since the Palestinian UN status upgrade. Al-Malki and a number of council members referred to the "State of Palestine" in their speeches. The words "State of Palestine" were also emblazoned on the name plate for the Palestinian delegation. US Ambassador to the United Nations Susan Rice made clear to the council that such public references to the "State of Palestine" do not make it a sovereign state. "Any reference to the 'State of Palestine' in the United Nations, including the use of the term 'State of Palestine' on the placard in the Security Council or the use of the term 'State of Palestine' in the invitation ... do not reflect acquiescence that 'Palestine' is a state," she said. The United States, Israel and seven other members of the 193-nation General Assembly voted against the Palestinian UN status upgrade in November. The White House on Wednesday renewed its call for a resumption of long-stalled Israeli-Palestinian peace negotiations in the wake of Israeli elections in which Prime Minister Benjamin Netanyahu emerged the winner but with a weaker-than-expected showing for his right-wing bloc. Amin Abu Rashid, head of the European initiative to remove the wall and settlements, called for the continuation of the "Palestinian Spring" against settlement activity in the occupied territories. Abu Rashid, a member of the General Secretariat of the Palestinians in Europe, said in a press statement, that the construction of villages by the Palestinian activists on the lands which the Israeli occupation tries to remove, as villages of Bab Al Shams and Karamah, is an inventive step that needs more support. He stressed that the Palestinian spring will continue to resist the settlement activity and will escalate and get stronger day by day, in the light of the escalation of the settlement attack, especially in Jerusalem. 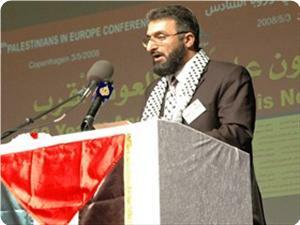 Abu Rashid announced that the European initiative to remove the wall and settlements, which has the slogan: "Palestine without Wall or Settlements", planned to launch activities in Europe against the wall and settlements, within the framework of supporting the moves on Palestinian land and exposing the Israeli policies of confiscating the lands to the Western society. He called free people of the world to pressure their governments to put pressure on the occupation to remove the settlements. "The continuation of building and expanding settlements by the occupation at the expense of the Palestinian lands and isolating the city of Jerusalem to Judaize it represent violations of all international norms and conventions," he added. The head of the European initiative to remove the wall and settlements has called six months ago for "a peaceful popular revolution, led by the free people in the different parts of the world" and urging for the implementation of International Tribunal decisions and the legitimate resolutions issued by the United Nations, concerning the apartheid wall and settlements built on the occupied Palestinian territories. He has also demanded creating "an international executive authority able to enforce the decision of the International Tribunal in The Hague," in light of the occupation authorities' neglect of this decision, which has led to isolating and besieging hundreds of thousands of Palestinian citizens in their villages. Israeli Prime Minister, Benjamin Netanyahu, stated Sunday that he totally rejects that idea of establishing a Palestinian state, and spoke of a “sort of autonomy for the Palestinians”. 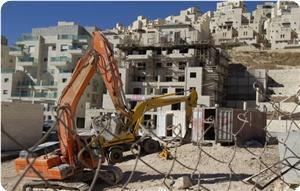 He also said that Israel will continue to build settlements in the occupied West Bank, and in occupied East Jerusalem. “I do not want the Palestinians to become Israeli citizens”, Netanyahu said, “I don’t want to control them either”. In a Televised interview with the Walla Israeli News, Netanyahu said that Israel will have to reach a sort of an understanding “granting the Palestinians some sort of a disarmed authority”. He strongly rejected any sort of Palestinian “entity” in this current stage, and said that “Israel needs to know what it can do; Abu Mazin (Palestinian President Mahmoud Abbas) is hugging Hamas, the same group that calls for our annihilation”, according to Netanyahu. The Arabs48 news website reported that Netanyahu also said that Israeli leftist parties are “shedding a blind eye on what is happening”, adding that “leftist parties just want an agreement regardless of the consequences”. “In no time, Hamas was able to control Gaza, and obtained dozens of thousands of Iranian missiles”, he claimed. As for Israel’s illegal settlement construction and expansion activities, Netanyahu said that a government under his command will never evict any settlement. “I never removed a single settlement, and I don’t intend to remove any”, he added, “We removed the settlers from Gaza, and look what happened; I will never do such a thing”. The Israeli Prime Minister further stated that Israel will not evict settlements under any peace agreement with the Palestinians, and added that the settlement blocs of Gush Ezion, Ariel and Maale Adumim will always be part of Israel. He also said that his government does not only build within the boundaries of the existing settlements in the West Bank and occupied Jerusalem, but wherever it can. As for smaller settlements not located within settlement blocs, Netanyahu said that this issue will be determined in negotiations, but also said that he will never evict any settlement as long as he is leading Israel. Responding to a question about Iran, Netanyahu said that he is doing whatever he can “to prevent Tehran from becoming a nuclear power”, and even vowed that as long as he is the Prime Minister, Iran will never be able to become a nuclear power. He also said that his polices also include other important files, such as what we called “Syrian chemical weapons”, missiles obtained by the Hezbollah party in Lebanon, in addition to interior issues such as reducing housing costs. Palestinian, Arab, and foreign activists participated in a demonstration in Washington on Saturday against Israeli settlement drive and the US bias in favor of Israel. The demonstration, which also comprised human rights activists, protested the American blind support for Israel while ignoring the Palestinian people’s rights. The participants marched near the White House, one day before Barack Obama’s official inauguration ceremony for a second term in office. They called on Obama to pressure Israel into halting the building of settlements in the occupied Palestinian land and to abide by human rights principles. They also called for halting American assistance to Israel because the Israeli government is “killing the Palestinian people in Gaza”. 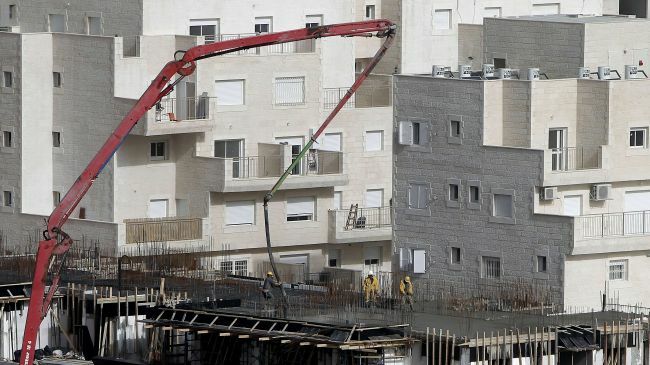 The Israeli housing ministry invited tenders for the building of 198 housing units in the settlements Efrat south of Bethlehem and Kharsina east of Al-Khalil. 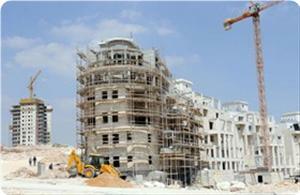 According to Yedioth Ahronoth newspaper on Wednesday, 114 housing units would be built in Efrat and 84 others in Kharsina. For its part, Peace Now organization said the number of Israeli approvals for settlement expansion plans jumped considerably in 2012 compared to the two previous years. 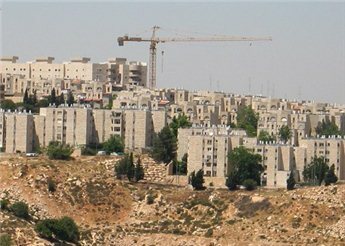 Peace Now affirmed that Israel approved construction plans for 6, 676 housing units in 2012, mostly in settlement east of the segregation wall. It added that this number of units represents a huge increase from the 1, 607 units that were approved in 2011 and the several hundred others approved in 2010. 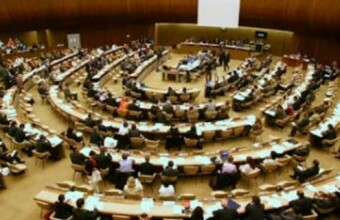 Members of UN Human Rights Council expressed fear that Israel would refuse cooperation. According to Yediot Ahranot Israeli newspaper, all UN member nations are required to submit to a review by the Human Rights Council, but Israel said last year it would stop cooperating because of plans for an international fact-finding mission to look at Israeli settlements in the West Bank and east Jerusalem. Last week, Israel ambassador, Eviatar Manor, spoke to the president of the council for the first time since cutting ties, but he asked for the review to be postponed and skipped a Monday meeting to discuss the situation. The newspaper revealed that the council has been criticized for failing to change many of the commission's practices, including putting more emphasis on Israel than on any other country and electing candidates accused of serious human rights violations. No immediate comment was available from Israel's officials in Tel Aviv. The Israeli occupation authority (IOA) intends to establish a big road isle at the crossroads of a main street in Al-Khader town west of Bethlehem city, a step that would prevent the Palestinian natives from arriving their homes easily. Local sources reported on Sunday that Palestinian municipal personnel intercepted about 20 Israeli workmen and road engineers who entered Umm Rukba neighborhood in the town and embarked on carrying out planning activities. Head of the municipal council Tawfiq Salah headed to the scene to see what was happening, especially since the area is located within the jurisdiction of the Palestinian authority and its municipal council, and accordingly asked the Israeli workmen to leave the place, but some of them threatened that they would return the next day along with Israeli occupation troops to carry out their job. Anti-wall activist Ahmed Salah stated that the Israeli plan would isolate, if carried out, Umm Rukba neighborhood from other areas of the town and the residents would have to take another road stretching more than one kilometer in order to go around the isle. Salah also said this Israeli plan is considered a serious precedent and interference in the jurisdiction of the Palestinian municipal council of the town. The Israeli military ruler of the Jordan Valley region declared a plan to build 200 housing units in Rotem settlement in addition to other 48 units to be established later in most of the settlements in the Valley. Specialist in settlement affairs Khalil Tufkaji told the Palestinian information center (PIC) that this new Israeli plan is of two parts, the first is to keep harassing the Palestinian farmers and Bedouin families in the Jordan Valley to force them to leave their homes through a number of measures including the restrictions on their movement, the destruction of their villages and the confiscation of their livestock. The second part, he said, is to keep demolishing their villages systematically at the pretext they are either located in military zones or belong to the Israeli state before giving up the Palestinian lands there to the general federation of laborers known as Histadrut or the Jewish national fund. Tufkaji noted that senior Israeli security and military personnel are given priority to live in houses built on the Palestinian lands seized from these Palestinian Bedouins and villagers. Israel has published a plan to build 170 new settler units and 84 guest rooms in the West Bank despite international condemnation of the expansion of illegal settlements on the occupied Palestinian lands. The units will be constructed at the Jewish settlement of Rotem in the Jordan Valley, AFP quoted anti-settlement activists as saying on Sunday. "Last week it [the plan] was deposited for public review. It is talking about 200 units, 30 of them are already built. In addition, another 84 units are proposed for guest rooms," said Hagit Ofran of the Peace Now organization. "It will be deposited for 60 days for the public to file objections. After all objections are collected and heard, the planning committee will decide whether to approve or refuse the plan. Usually they approve it," she added. The announcement came shortly after Israeli police forcibly evicted Palestinian and international activists who had set up protest tents in an area of the West Bank where Tel Aviv regime is planning to build new settler units. Around 20 tents were set up in the area called E1, between al-Quds (Jerusalem) and the Jewish settlement of Maale Adumim, on Friday. E1 project aims at connecting the West Bank settlement of Maale Adumim to East al-Quds, about six kilometers away. The plan will cut off the northern part of the West Bank from the south. Palestinians are strongly against plans to build settlements in E1, saying the project prevents the creation of a contiguous Palestinian state. The Islamic-Christian Committee for the Support of Jerusalem and Holy Sites warned on Tuesday of the occupation authorities' decision to approve building 1100 hotel rooms on the road to al-Khalil in Jerusalem city, beyond the Green Line. Secretary General of the Committee, Dr. Hanna Issa, said in a press statement issued by the Committee: "Israel is working day and night to make Jerusalem its eternal capital." He pointed out that the Israeli occupation's accelerated construction of the settlements and separation wall around East Jerusalem aims to strengthen Israel's control over the Old City and the majority of the neighborhoods in East Jerusalem. Dr Hanna also stressed on the seriousness of the occupation authorities' recent procedures of seizing the Palestinian lands, including the city of Jerusalem, and which is seen by all the norms, laws and international resolutions as a flagrant unacceptable aggression. The Islamic-Christian Committee called on the international community to face these successive settlement projects and to defend the Arab identity of Jerusalem against the wave of Judaization, destruction displacements and construction of settlements and Jewish neighborhoods. Peace Now denounced the Israeli government's decision to approve two outposts, Rehelim and Nofei Nehemia, and to declare them as a new settlements in total violation to the Quartet’s Road Map according to the organization. Hajit Afran, the spokeswoman for the organization, stated that several months ago the government decided to approve three outposts (Rehelim, Sansana and Bruchin), adding that "although the Government decision did not mention the Nofei Nehemia outpost, it turned out that the boundaries of the new settlement of Rehelim includes the outpost of Nofei Nehemia which is located nearly 2 km west of Rehelim, as a “neighborhood” of Rehelim." 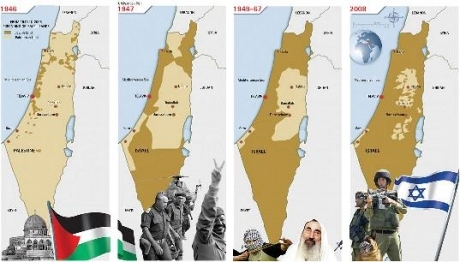 According to the Quartet’s Road Map, which Israel is internationally committed to, Israel is obliged to dismantle all of the outposts that were established after March 2001. Nofei Nehemia is the fourth outpost that was established after 2001 that the government is now authorizing, she added. She stated that settlement is considered today the biggest problem for "Israel", noting that there are 100 outposts in the West Bank, where Rehelim outpost was evacuated in October, 2002, but the settlers returned to it in February, 2003. Israeli Prime Minister, Benjamin Netanyahu, claimed that Israel’s construction and expansion of Jewish settlements in the occupied West Bank, mainly in and around occupied East Jerusalem, “do not pose any threat to the peace process”. The Israeli Prime Minister added that “the real threat to the world is not the Jews who are building in Jerusalem, but the Nuclear weapons Iran is developing”, according to Netanyahu. He added that Israel is dealing with these “threats”, and called on the International community “to join Israel is this struggle”, the Palestine News Network (PNN) has reported. 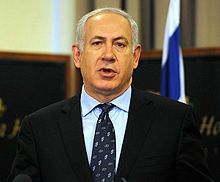 Netanyahu further stated that “Israel appreciates the American efforts on the Iranian file”, and added that “the time has come to the rest of the world to wake up”. Netanyahu also claimed that Israel is seeking real peace, and that Tel Aviv “is willing to provide concessions to achieve this peace”. Two days ago, Netanyahu claimed that Palestinian President, Mahmoud Abbas, continues to ignore what he called “all Israeli efforts to resume direct peace talks”, and accused Abbas of placing “impossible preconditions”. The Palestinian Authority in the West Bank had to quit talks with Israel due to its ongoing violations topped by its ongoing invasions, arrests, the demolition of homes, and its ongoing settlement construction and expansion activities in direct violation of International Law and the Fourth Geneva Convention to which Israel is a signatory. The establishment of a Jewish suburb in the middle of the heavily populated city of Lod would bring about friction between the Arabs and the Jewish fanatics, a Hebrew press report said. Haaretz said on Monday that the Israeli government has endorsed the establishment of a suburb for Jewish fanatics known as the Haredim near the city’s Islamic cemetery. It noted that the new suburb would be built on the ruins of an ancient Arab one and would be allocated for Jewish Haredim relocated from the evacuated settlements in Gaza Strip and the West Bank. The paper noted that as construction of a main road within that suburb was being built a big sign was posted at the entrance to it saying that entry would be restricted to only those inhabiting the new suburb. On Monday 7th January, the Israeli Central Command Chief, Nitzan Alon, ordered legalization of two settlement outposts in central West Bank, raising the number of settlements in the Shomron Regional Council to 32 settlements. The official website of the Regional Council published that Yesh Din Israeli human rights group submitted an appeal to the High Supreme Court to prevent the recognition of the settlement outposts that were constructed on a Palestinian private land. Yet, the Israeli government has decided recently to recognize the Rahlim illegal settlement, southeast of Nablus after two outposts were merged into one settlement, and recognized by the Israeli Army Chief. 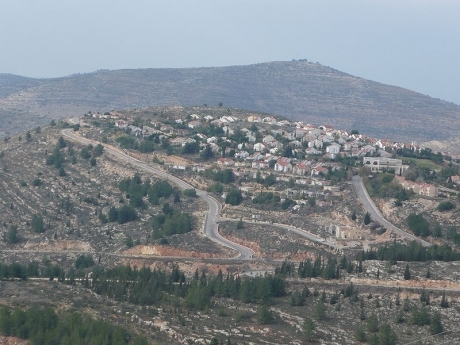 Mayor of Shomron Regional Council, Gershon Mesikha, said that legalizing the settlement of Rahlim is a triumph over the Left and a triumph over racism. Chief Palestinian Negotiator, Dr. Saeb Erekat, demanded Israel to stop all of its violations, mainly its ongoing illegal settlements construction and expansion activities in the West Bank including in occupied Jerusalem, and to release all Palestinian political prisoners. 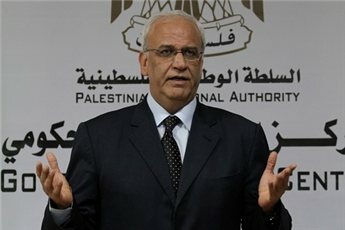 Dr. Erekat said that there can never be any resumption of peace talks with Tel Aviv before it stops all of its violations, and added that “what Israel did and is doing in Jerusalem and the West Bank, by building and expanding settlements, voids any chance for the establishment of a viable Palestinian State with Jerusalem as its capital”. His statements came during a seminar organized by the Palestinian Prisoners Society (PPS) and the Fateh movement of President Mahmoud Abbas. The Palestinian official further stated that Palestinian reconciliation is a step in the correct direction, and that when differences arise, elections should be held so that the people can decide their future and who rules them. As for recent reports about a possible confederacy with Jordan, Erekat stated confederacy is not an option, adding that the recent visit of King Abdullah of Jordan to the West Bank came to congratulate the Palestinians for obtaining a nonmember observer state status at the United Nations General Assembly. He further affirmed the need to activate the Arabic financial safety net that was approved by Arab leaders in order to ensure continued financial support to the Palestinian Authority especially amidst the current American and Israeli financial sanctions against it for heading to the United Nations. The Non-Aligned Movement (NAM) condemned the ongoing provocative, illegal actions by Israel, including settlement plans in the occupied Palestinian Territory, including East Jerusalem and the withholding of the Palestinian tax revenues, Wednesday said a statement issued by NAM. The Israeli actions have intensified following the United Nations General Assembly updating of Palestine to a non-member observer state status. The Movement considered all these actions null and void and stressed that Israel, the occupying Power, should immediately rescind these plans and measures and cease completely all settlement activities in the Occupied Palestinian Territory, including in and around occupied East Jerusalem. These successive deplorable actions included the announcements by Israel of plans for the expansion of existing settlements as well as the establishment of new settlements in occupied East Jerusalem and the West bank, in deliberate and grave breach of relevant principles and rules of international law and international humanitarian law, in particular the 4th Geneva Convention which governs situations of foreign occupation, and in blatant contempt of the will of the international community, said the statement. The Non-Aligned Movement also condemned Israel’s decision to withhold Palestinian tax revenues due to the Palestinian National Authority in violation of agreements reached between the two sides and international law. It said that Israel has declared this decision in retaliation for the adoption of General Assembly resolution 67/19. Such a deplorable act constitutes a blatant unlawful acquisition of funds and collective punishment. It is impairing the ability of the Palestinian National Authority to deliver public services, pay public sector salaries and operate governmental institutions. 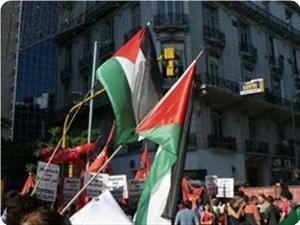 It further aggravates the financial crisis imposed on the Palestinian National Authority, it added. NAM reiterated its continuous calls to the Security Council to shoulder its responsibility and take all necessary measures to ensure that Israel immediately terminates all these illegal actions. “The message must be sent to Israel that it is expected to fully abide by its commitments under international law, uphold the rule of law, cease all illegal measures intended to alter and prejudge the situation on the ground, cease all provocations and incitement, including by its illegally transferred settlers, against the Palestinian people and their leadership,” said the statement. The Movement reaffirmed its unwavering commitment to a just and comprehensive solution to the Arab-Israeli conflict, with the question of Palestine at its core, and to the immediate restoration of the inalienable rights of the Palestinian people, including to exercise self-determination and sovereignty in their independent State of Palestine with East Jerusalem as its capital.